My name is Kristin Hickey, and I am the founder of Eq.Heavenly Hands. I graduated with honors from Santa Clara University with a B.A. in communication and film. I am a Nationally Certified Massage Therapist, a certified Equine Body Worker, a Soft Tissue Specialist, and a member of the International Equine Body Worker Association. 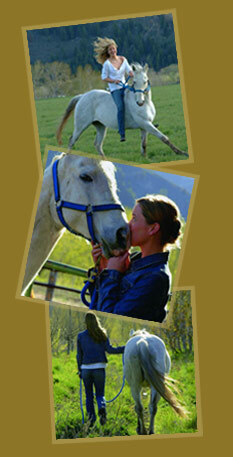 I have over 1,700 hours of professional training with over 20 years of horse experience. My passion for helping people and their animals has led me to devote my time to improving the well-being of horses and their riders. A rider myself, I understand the physical demands placed on horses and riders of all disciplines. I started riding at the age of three, and by the age of seven I was successfully competing in the hunter/jumper world and won numerous state championships. Currently, I am riding dressage and training at the Portola Valley Training Center in Portola Valley, CA. I discovered body work five years ago when I endured a severe car accident and had to undergo two years of physical therapy. After seeing and feeling the benefits of massage, I experimented by hiring an equine massage therapist for my own horse. After only one session I noticed a tremendous difference in my horse’s gaits, his temperament, and his overall welfare. Enlightened by the dramatic improvement massage made in both my body and my horse’s body, I founded Eq.Heavenly Hands with the mindset of improving the wellness of my clients and enhancing the connection between horse and rider.